Whether you're looking for a show-stopping American Pit Bull Terrier who's born for the show ring or just a loving pet who lives to roll in the mud and sleep on your bed, the first step is finding a good-quality puppy from a reputable, conscientious breeder. There's no shortage of people who sell APBT puppies, as the breed is the second most popular breed in the country, according to the United Kennel Club. 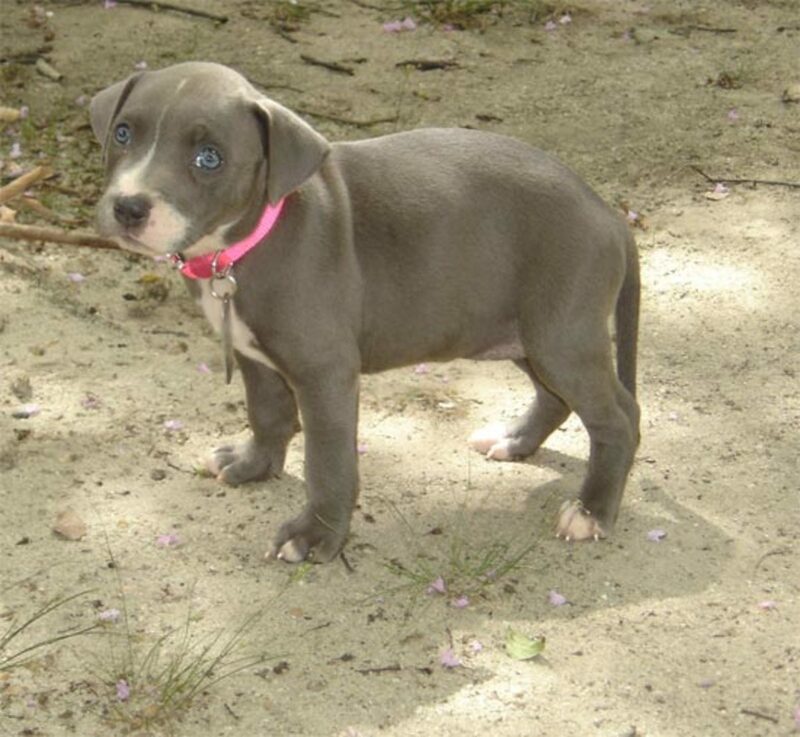 Once you begin your search for the perfect puppy, you'll find APBT breeders almost everywhere your look. They're listed in newspaper ads, websites, neighborhood bulletin boards, and even swap meets and garage sales. Unlike conscientious, reputable breeders, who spend a lifetime breeding dogs with the best temperament, health, and conformation, these individuals produce puppies only for money and give little thought to the dog's welfare once he leaves the premises. Regardless of how cute these pups may be or how much they need a home, avoid them. Remember you're going to be caring for this puppy for 12 to 15 years, so the time you spend early on choosing the right puppy who is healthy and well-adjusted, will pay off in the long run. Picking the right puppy is very important, especially with bully breed dogs, because you want to make sure that you don't pick a puppy that is overly aggressive, has tons of health problems, or doesn't even look like an American Pit Bull Terrier, which is why basic temperament tests are very important to perform when at the breeder's. You want to take the breeder's description of the puppies' temperaments, but testing will add to your final opinon. Avoid puppy mills and backyard breeders. Puppy mills are large-scale breeding operations that produce puppies in an assembly line fashion without regard for health and socialization. Backyard breeders are typically well-meaning, regular pet owners who simply do not possess enough knowledge about their breed and breeding to produce healthy puppies. 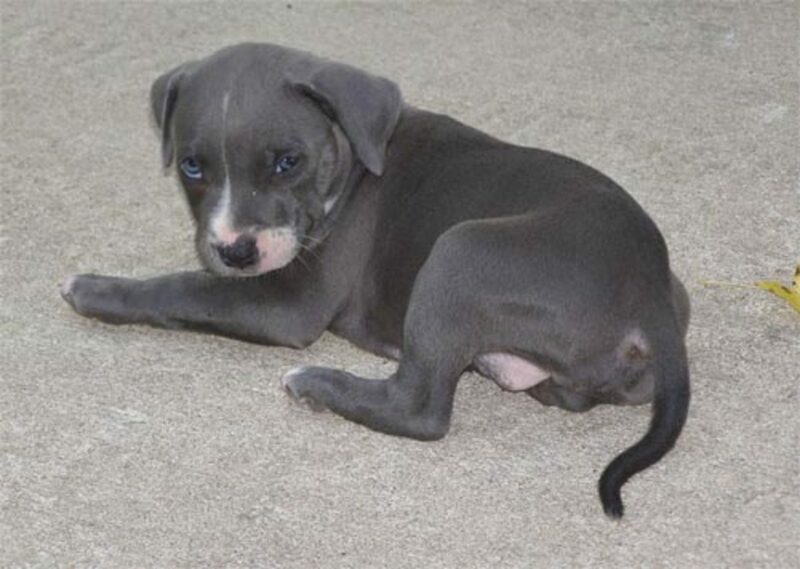 The following tips will not only help you pick out the perfect breeder and American Pit Bull Terrier puppy, but they should help you pick out a breeder and puppy of any breed. Distinguished and trustworthy breeders will stand out from others because they have a lifelong passion for producing quality rather than quantity. They tend to belong to national and local clubs that register APBTs, which shows commitment to the breed and a willingness to network with other breeders who share health, behavior, conformation, and training information. Reputable breeders register their stock with either the UKC or the American Dog Breeders' Association, which ensures that they strive to produce puppies that conform to the standards of either registry. Reputable dog breeders spay or neuter dogs that who aren't good examples of the standard for the breed. When looking at the pedigree of a particular puppy or adult dog, you will see that one or both of the parents and most of the other dogs in the pedigree will have a "CH," for champion, or "GRCH," for grand champion, in front of their names. Both titles plus and performance titles signify that the dog has earned special distinctions in the show ring. These dogs have must amiable personalities in order to compete in show or performance, so they are bred for personality as well as physical conformation. Without the titles, you know you're looking at a backyard breeder's dog pedigree. Remember that just because the breeder says, "of champion bloodlines," you still want to see the CH or GRCH in either parent because the breeder's idea of "champion bloodlines" just means that somewhere down the line there may have been a champion, which could be 3, 4, 5, or more generation back. The right breeder will be willing to share all his experience and will be more than willing to help you raise a healthy and well-behaved puppy. The right breeder will also be willing to give you references of his vet and past customers. He will be able to provide health clearances on the puppies and parents. 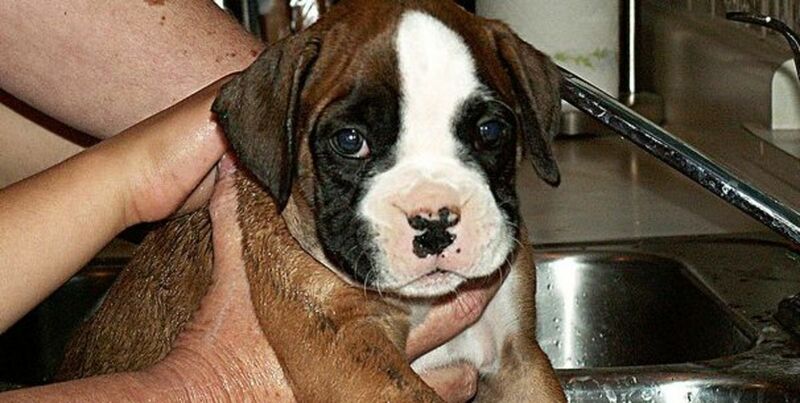 Here are 10 signs to look for with picking a puppy from a breeder (and even a shelter). When in doubt, ask the breeder which puppy he thinks has the best personality and temperament that may fit your lifestyle. Look at the area where the pups spend most of their time. It's ok if they play outdoors part of the day, but they should sleep indoors at night so that the puppies can interact with people and become accustomed to hearing ordinary household noises. This builds a solid foundation for a secure, well-socialized puppy. The puppy area should be clean, well lit, have fresh water, and interesting toys. Make sure to see all of the puppies in the litter. By 5 weeks old, healthy puppies will begin playing with each other and should be lively and energetic. It's ok if they're asleep when you visit, but stay long enough to see them wake up. Once they're up, they shouldn't be lethargic or weak, as this may be a sign of illness. Puppies should be confident and eager to greet you. A puppy who is shy or fearful and stays in the corner may be sick or insecure. Although some introverted puppies will come out of their shells later on, many don't. These dogs tend to be fearful adults and aren't good choices for an active, noisy family with or without kids, or for people who have little to no experience with dogs. They frighten easily and will require a tremendous amount of training and socialization in order to live a happy life. Choose a puppy who is happy and eager to interact with you but reject the one who is either too shy or too bossy. These temperament types are a challenge to deal with and require a tremendous amount of training to socialize. 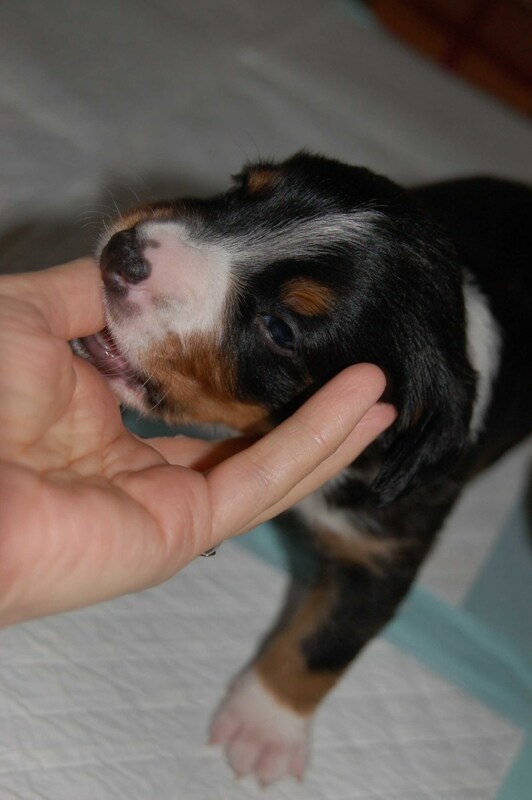 If it's feeding time during your visit, all the puppies should be eager to gobble up their food. Refusing to eat may signal that a puppy has an illness. The dog's skin should be smooth, clean, and shiny without any sores or bumps. Puppies should not be biting or scratching at themselves continuously, as this can signal fleas. After 10 to 12 days, puppies should have their eyes open and clear without any redness or discharge. Puppies should not be scratching at their eyes, as this can signal irritation or cause infection. Vomiting or coughing more than once is not normal, and in this case the puppy may be ill and requires a vet visit. Visit long enough to see the puppies eliminate because you want to make sure that the stool is firm and not watery or bloody. 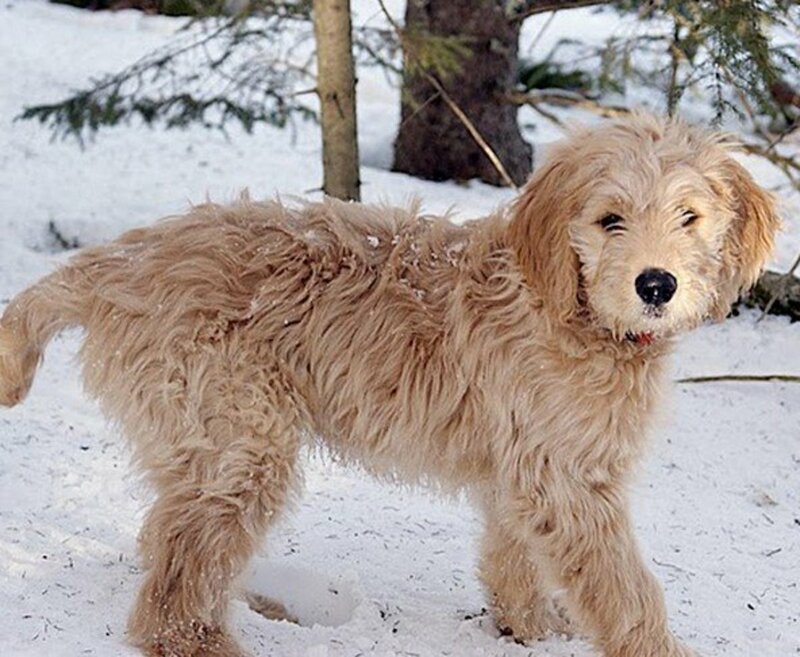 A healthy puppy who is getting enough to eat should not be skinny. You should be able to slightly feel the puppy's ribs if you rub the abdomen, but you shouldn't be able to see the ribs protruding through the skin. Puppies should walk or run without limping. Ask if the parents have had hip and elbow displasia tests. I have a female APBT. She is definitely not dangerous to even a stranger, she will growl and bark until they hold their hand out and God forbid you pet her or give her a scratch because she will be your bestfriend. Hopefully noone ever breaks into my home and I have to rely this (vicious) breed to protect me. She may very well lick them to death or trip them trying to stay close enough to be petted. My pit is giv registered got him from a friend,very loving protective of any child,and the best thing that happened to our family! One day at the ball park a small child attemted to run away with his marbles LOL but not on sign of aggressive behavior .I believe train right do right by the dog and the dog will do right by u ! Please keep in mind that these dogs are not naturally human aggressive! It would be dumb to train one to be such. If you want a guard dog, get a doberman, rottweiler, shepherd, etc. If you want a dog aggressive dog, Pit Bull is the way to go. There are cases where breeders of game pits, have to have true guard dogs to protect their yard because they've had people steal their dogs, and the dogs go willingly. You don't have to. 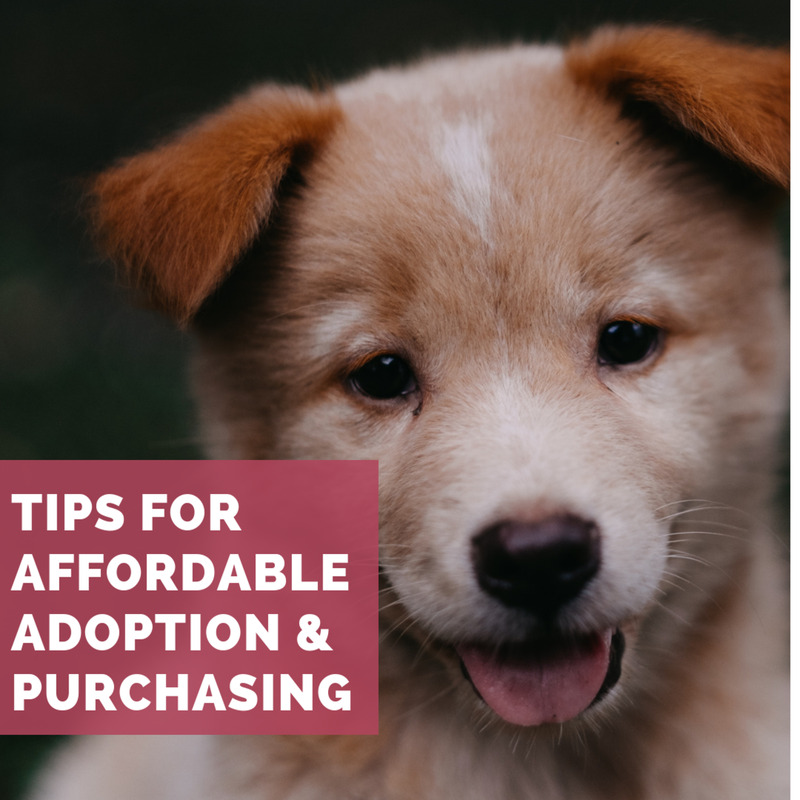 You don't have to get the puppy registered at all, but if you're looking for a registered puppy, UKC or ADBA are both very good registries to consider. You won't be able to take a CKC registered dog and have it UKC or ADBA registered unless both parents are UKC or ADBA registered, depending on the registry. Puppies should be let out a few times a day.If you could go home for lunch, that would be ideal to letting the dog out. Before you leave, lunch, and when you get home. The dog should be at least 8 weeks old when you get it, so there would be no reason to take it to the mother. OK! should i get him UKC registered then. and i was wondering when i go to work, how long of a time can he be left alone, or would it be better if i should take him to his mother while im at work but wouldn't that just confuse him????? THX AGAIN!!! CKC registered in terms of Continental Kennel Club doesn't mean anything. You can have mix breeds CKC registered without any problems. You can have dogs that have no history of papers registered. CKC isn't anything special; it's really more of a scam in terms of dog registries. If you're looking for a papered APBT, find a UKC or ADBA registered breeder. Socialize as soon as the pup has had several sets of shots. Socialize with kids, other dogs, cats, other animals, loud noises, strange objects. Don't throw everything the pup at once or you'll create a scared dog. Small training sessions daily, several times a day. Puppies get bored easily. Don't get frustrated, as the dog will notice that. Stop before the dog is bored and you start to get upset. Remember that puppies aren't born knowing the commands, they have to be trained what to do when you say/do the command. IM proud to buy off my bro bcuz he is doing everything rite. his dog is ckc registered and he is going to register all the puppies and do everything from the books. so basically ur telling me to socilize my dog and keep training it everyday. i have never owned a dog. i just need some helpful tips about pit bulls. dont worry i dont give up on my children y do it to a new member. I wouldn't be proud of buying from a backyard breeder. Raise the puppy like any other puppy. If you shelter it, as an adult the pup can grow up very timid and a potential fear biter, but if you are too harsh with it, it can grow up dominant and a potential aggressive biter. You have to find that in-between and socialize the dog, train it, be constant with it. Raise the dog as a dog. It's hard to answer the question because raising a puppy will vary, and the right way for one puppy will be different for another. I have had a APBT for almost 3 months now. We found him on the street at 3 months of age. He is 6 months now. He loves to play with children and both my male and female labs. When we first picked him up, I had no intention of keeping him, until all the shelters here in MS denied him and animal control stated that they would just put him down. I had his temperament tested by my vet, as well as some tests by my lab's trainers(I breed labs.) He passed all with flying colors. The vet identified lots of what seem to be human induced scars when we picked him up and rationalized that he was probably turned out for not showing fighting potential. He is an amazing dog to have. He loves/licks everyone he meets and rarely barks. I am so happy to have him as my "little" lap dog:) He had completely changed my views on the breed. I have a pit bull, which is the most loving caring dog i have come across, she doesn't have a bad bone in her! These types are dogs are just like guns, if put in the wrong hands they can be used as danger, it's all about how the owners itself raise their dogs; if displined right amd cared and loved for they are great, loyal dogs. So I wouldn't say not to own one, if you have the time and paitence go for it!!! i have two pitbulls and they are the sweetest dogs ever. The only problem I have with them is that they think they can climb in everyone's lap when i have company. To think all pitbulls are mean is simply ignorance. Did you know that more people are bitten by poodles every year than any other dog? NOT PITBULLS! Yes pitbulls have attacked people just like any other dog but that doesn't mean all are the same. Law thank you for your comment. evemurphy: As an owner and breeder of APBTs, you are WAY off the mark. Through my years of experience with these dogs I have never been bitten or so much as growled at by a pit. However I have been knocked over and licked profusely by a couple. My neighbors have two small children, a boy and girl, they also have two pit bulls that play with these children every day with no worry of an attack. Why? Because an APBT is a breed of dog BY DEFINITION to be a COMPANION dog, not an attack dog, not even a guard dog. ANY dog bred by an inexperienced breeder is dangerous. You see the EXACT SAME aggressive tendencies in over bred labs, rotts, golden retrievers, poodles, dachshunds, german shepherds, chihuahuas, etc. Not because the breed is violent, but because the characteristics of the dogs are not of concern to those trying to make a quick buck on whatever the dog trend at the time is. Any reputable breeder will only breed a dog displaying both the physical attributes AND temperament pertaining to that breed. In case you didn't know, any sign of human aggression is a disqualifying characteristic in an APBT, breeding privileges would then be revoked. I think the role that the media plays in the destruction of one of the most loyal, loving, courageous breeds is disgusting. Unless you have experience with the TRUE APBT I believe you should keep your unvalidated opinions to yourself. Also in regards to this statement: "When a pitbull "flips" it's not the same thing at all as when a poodle or a terrier "flips"! I'm fairly certain that DEATH is the same regardless of the breed that attacked. LEXINGTON, Ky. (AP) _ Authorities say a 6-week-old baby in Lexington died of suffocation and blood loss after being attacked by the family's Jack Russell terrier. A 6-week-old St. Mary's County boy was in critical condition yesterday after being dragged from his playpen and mauled by the family's dachshund, police said." Valiant effort couldn't save dog victim "Officials said a husky mix, weighing between 85 and 100 pounds, was involved in the baby's death. " Toddler mauled by dalmatian "The toddler had only just been given the dalmatian, called Chelsea, after seeing the popular Disney dalmatian movies." Dog that mauled tot will be killed "A male Doberman pinscher that mauled its owner's 16-month-old son in an apparently unprovoked attack last month will be euthanized" If it was a pitbull it would've been shot by the officers taking the report at the scene that night. Neighbor's Dog Attacks Child "Witnesses said Sheeba is a brown boxer and Shadow is a mid-sized black dog" They don't seem as concerned about the "breed"...why? Because it wasn't a pit. Baby Girl Killed by Family Dog This is the baby killed by the Pomeranian. 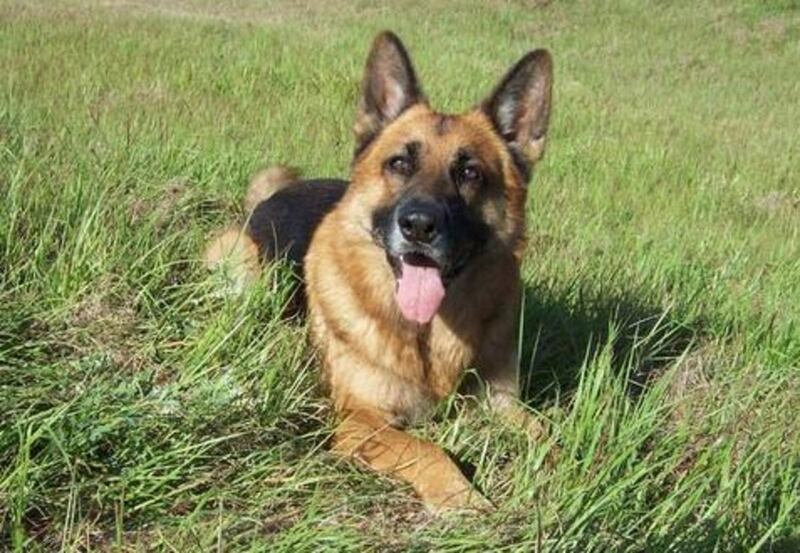 Would-be Police Dog Kills Boy, 4 Couple owned a kennel training shephards as police dogs, have no idea why this one killed their child, but as of the writing of the article they didn't know if the dog would be destroyed. "An investigation was continuing, Jarrett said, but he did not expect criminal charges." That's probably because it was a police dog. "He said the department was in negotiation to acquire the dog, which had been imported from Germany in January. Those negotiations are probably over" PROBABLY???? Police probe dog mauling report "Police continue to investigate a report of a bloodhound mix mauling a 3-year-old boy" and ""I can't tell if charges will be filed or not," Coleman said. "There is no indication the dog was ugly. He may have been playing and his actions misunderstood." if that was a pit, that statement wouldn't have been included in the article. Mother accused of neglect after baby mauled by ferret "A teenage mother failed to prevent a pet ferret mauling her baby, a court has heard." Too the person who said APBT's are illegial in canada, You ARE WRONG. They are completely legal where I live which is regina, Sk. I know their legal in most parts of canada, cause lots of my buddies have them too. I think their illegial in only ontario. I'm with you James and Whitney. I have known several pitbulls personally and only one was aggressive. You could tell from the time he was a puppy that he had an attitude problem. He was my brother-in-law's dog. Bully came from a backyard breeder. 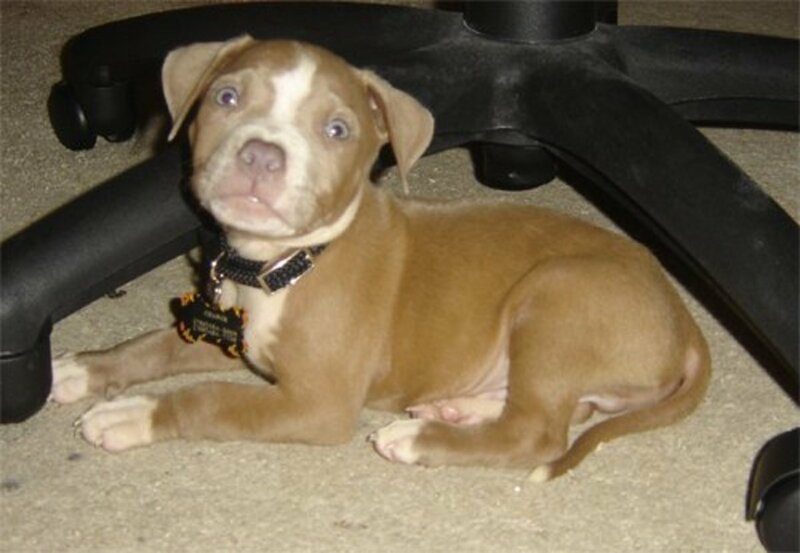 He was taken from his mother at 6 weeks, early for a pitbull, at least one of the parents had aggressive tendencies (note that according to UKC and AKC guidelines, Human aggression is a disqualifying trait. dogs showing human aggression shoul be euthanized, at the very least sterilized, but above all,should not be bred). Bully never attended obedience classes and was poorly socialized. If you did a rollover test, bully would growl and bare his teeth (Not a breed appropriate response). He also showed food aggression (once again, not a breed appropriate response) and yes, one day bully attacked my nephew and seriously injured him after my nephew stepped on him while he was eating. To make a long story short, Bully died, my nephew lived. I now own a pitbull myself, and I have to say, I have never had a more loving and reliable dog. One day, I was at a community event with Hilo, and a couple of 5-year old boys were playing nearby. They ran past us and one of the boys collided mid-air with Hilo. What did hilo do? He looked a bit surprised but that was it. He did seem very concerned about the boy and sniffed him to see if he was OK. He will allow children to crawl on him pull his ears etc. (which I don't allow). Hilo rolls over and hogs all the attention he can get. They don't call them the nanny dogs for nothing. Mind you, that no matter how reliable the dog, children are very unpredictable and should never be left unattended with a dog of any breed or for that matter, a pet of any kind. As for the comments of EveMurphy and Indexer, I seriously doubt they have any hands on experience with breed appropriate Pit Bulls and are merely regurgitating the misinformation put out by the media. This breed's is one of the finest all around family dogs available. Inappropriate breeding and conditioning combined with media hype have given this wonder dog a bad name. 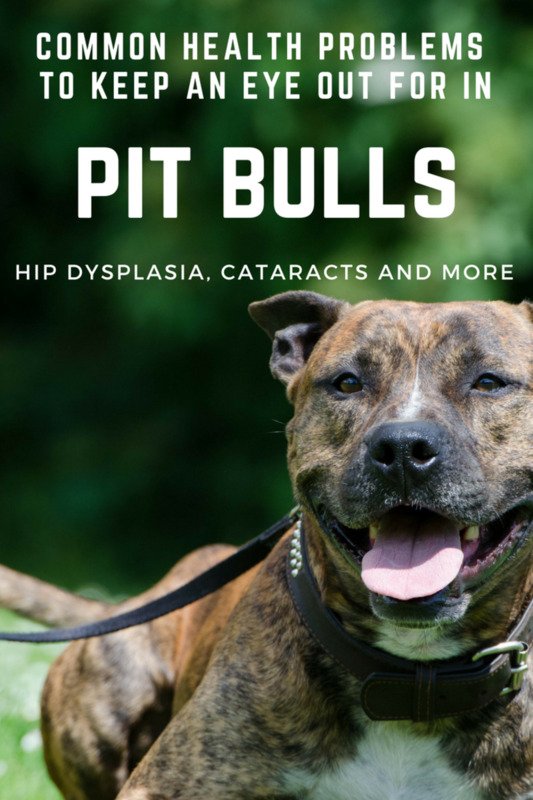 The research citing dog bite statistics that the media has relied on is unreliable as it lumps a number of breeds including bull dogs, boxers, presa canarios, mastiffs, and various mixed breeds under the classification of pit bull. 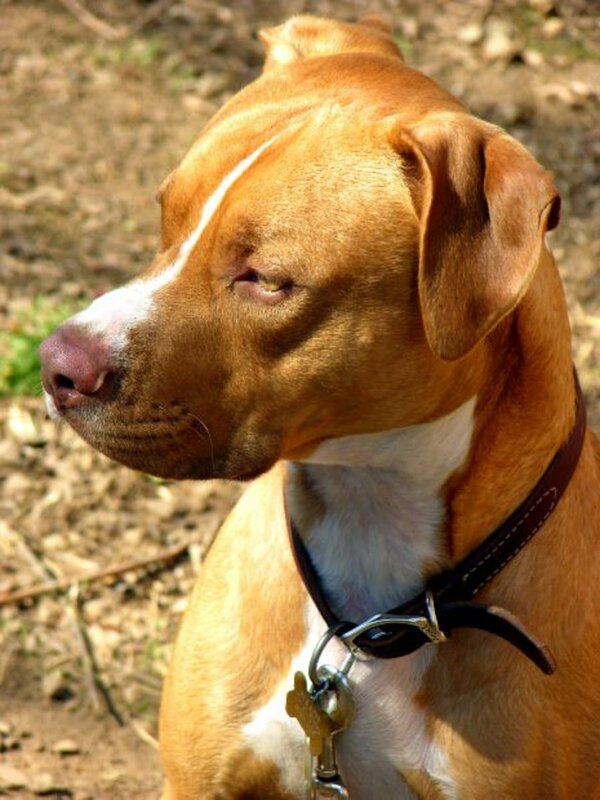 Pitbulls excell at search and rescue, agility, obedience, they are excellent service dogs. They have saved lives, protected home ad property, assisted law enforcement. Just google pit bull heroes to read about some of the exceptional dogs that would be senselessly euthanized under faulty legislation. They are also, sadly, the most frequently abused and neglected dogs. To put things in perspective, I have known labs, german shepards, pomeranians, poodles, various and assorted mutts and even a couple of golden retrievers who exhibited the same aggressive traits that bully did. I have personally known 4 black labs that I wouldn't turn my back on. Breeds with members also known to have killed humans include, chows, akitas, german shepherds, labrador retrievers, st bernards, presa canarios, and yes even the golden retriever. I'm sure I am missing a couple. What if a series of black lab attacks resulted in the banning of black labs imagine the outcry. Legislation should target aggressive dogs, their owners and breeders Period. It's true that a Pit Bull attack is different than a Poodle, but you can't say that a well trained and socialize APBT will one day go bazurk and attack for no reason. I'll say that my cousin's 2 male Pits are not the most trained dogs, but I highly doubt they'd ever attack, as they have been socialized and at least somewhat trained otherwise. What you said before was that one cannot claim that their well-trained and socialied APBT will never attack; which in a way is true, but a cautious owner can still prevent the attack, as no dog attacks without a reason or cause. Also, human aggression and dog aggression is different. Dogs do see the different between children and dogs, but at the same time, they do see babies and very young children differently, in general, but that's all dogs. Young children and babies act different than older children and adults, they smell different, and they sound different, which is why all dogs need to be socialized with them. A story, I've posted on the forums basically comes down to my cousins 2 adult male APBT's. His wife had a friend over and the friend's 2 toddlers. The 2 dogs, who have never seen a baby or young child before were either 1) leary of the babies or 2) unphased by their presence. Basically, the 2 dogs didn't bother the kids and the kids didn't bother the dogs. Witney: I know your dogs are no doubt super well-behaved and trained. Not everyone is as scrupulous as you are however. When a pitbull &quot;flips&quot; it's not the same thing at all as when a poodle or a terrier &quot;flips&quot;! Pitbulls hold on even after they have been shot in the head, as one was by a police officer in Canada. It took several shots before they could pry his jaw from the policeman's leg. Surely you are not comparing pitbulls power of relentless, unswerving determination once they have gone for the kill. Nothing deters them. And they do not descriminate between children and small dogs. It's all the same to them. The same isn't true of any other dog to my knowledge. I appreciate your opinion, but as you think I am wrong, I feel so are you. If you believe what you're saying is accurate, then any dog should be taken under this same consideration that no matter what training and socialization you put in, one day it may flip on you. Dog's, of any breed, just don't work this way. Dogs have to be provoked; they just don't turn. And you can almost always detect signs before it actually happens. I admire your hubs Whitney. I think you are an excellent writer and a real pro! But I have to disagree with you on this one, only because you are taking too big a risk...you are saying because the pit has never YET done anything, that he never will. It will be too late if he ever does. As I say i am a big fan of yours, but feel compelled to state my opinion on this one. They are illegal in many counties in the U.S., but as mentioned in all my other hubs it's all in how you train, raise, and socialize them. My pup is an indoor pet that sleeps in my bed and is constantly around a handicapped and unpredictable child. She's never tried to bite or attack. Unfortunately pit-bulls are illegal in Canada. They are considered unpredictably dangerous and a threat to other dogs/children in particular. I know you adore them and have a wealth of good information on them. But they are not house pets in my opinion. Sean, many of these rescues will adopt out to people in other areas where there is not a breed ban. I've worked with a rescue, where we've gotten dogs from other animal shelters were there was a breed ban in the area. jess, I prefer Nutro. meal is ok, by-product is the worst. Nutro Natural Choice, lamb and rice is great for dogs with skin allergies and skin problems. You may also want to consider Solid Gold or another all natural brand that you can purchase at natural food stores. Thanks Whitney. Yes, it is sad that the breed, along with responsible and caring owners should suffer because of the repercussions of irresponsible ownership. One thing I don't understand, and which i am going to make enquiries about is that dog resuce centres here, which predictably are FULL of discarded Bull Breed dogs, are seeking ton have these dogs placed in caring homes, but if potential owners then run the risk of sadly having their animals confiscated,euthanized and then receive fines, how does this work? To find a puppy that fits the breed's standards, the parents first off need to fit the standard. It can be hard to choose a puppy for adult standards just on the puppy alone, which is why being able to see the parents will be key. If you can see both parents, you can estimate what the pups will look like. I agree that there are cases where people use their children as accessories, just as people use dogs. If you get a breed that is illegal in your area, you risk the dog being taken away and euthanized. You will also get fined. So consider that before you get a puppy, especially if you're looking into getting a puppy that is illegal in your area. I agree, dog education in schools, as well as more stringent laws for breeding is definitely a better option. It's actually a more long term action. By having breeders pay a yearly fee or something to be able to breed their pups, would probably minimize many backyard breeders, or at least hopefully, that would. A certification to breed, is another great option. This was an interesting and helpful article on how to conduct a temperament test when buying a pup. Could you also give some indication on what physical characteristics a prospective owner should look for that would meet the desired standard of the breed? I absolutely disagree with indexers comments BUT as the breed is illegal here and tends to be usually in the hands of people who own the dog simply because it's a fashion statement (incidentally they are also the kind of people who see their children in the same way!) it is very difficult to find a 'reputable' breeder. There's ceertainly no chance of getting any papers. However, we can of course observe the kind of conditions the dogs have lived in and hopefully get some idea of how the owner treats them. Instead of making these dogs illegal here we should look in to bringing in much more stringent laws on selling dogs and who should be allowed to breed. All dog breeders should be registered and have to meet particular standards. Hope, yes most Pit Bulls are bred for temperament, but definitely not all. I hope that the pup got a great home, and I hope that you find what you're looking for. Indexer, I'm not getting into this again with you, but you absolutely can't say that every single pit bull in the UK is aggressive and bred to fight. That's like saying all the one's in the U.S. are nice just because I post nice hubs about them. It's ignorant to believe that. There are still breeders in the U.S. that breed for fighting and aggression, but that doesn't mean that in the U.K. there weren't people breeding for good temperament. Remember the dogs in the U.S. came from the same origin as the ones in the U.K. And remember that just because "pit bull" type dogs may be banned in one county in the U.S., it doesn't mean that every individual dog in that county is aggressive and bred to fight. GA has tried to ban these dogs, and do you think my pup was bred to fight and has been raised aggressive... Nope.. And she lives happily and peacefully in a home with a handicapped child and 4 other dogs (male and female). Unless you have personally talked to every single person who has ever breed an Pit Bull in the UK, and every person has told you "yes I bred my dogs to fight," then you can't claim that they were all breeding this way. I'm sorry but it's pure ignorance, and I wish you'd stop bringing this up in every hub I write about Pit Bulls. The last time we discussed this, you finally said that you could see where I was coming from, and you bring it up again.. Obviously you didn't understand. Also, Indexer, you are semi-accurate about the pedigree, but that doesn't mean that dogs without a three generation pedigree are bad. You can't prove the pedigree of shelter dogs unless the owner dropped it off, but if they're giving up their dog they probably won't remember the pedigree, and most of those dogs are wonderful. Things are doubtless different in the States, but do NOT, under ANY circumstances, buy a pit bull in the United Kingdom. They have been bred here specifically for fighting, with any good qualities bred out of them generations ago, and there have been many cases of pit bulls attacking children, sometimes with fatal results. That is why the breed is banned by law in this country. With any dog, you are always safest to buy one with a proven pedigree of at least three generations, with no gaps and no inbreeding. I've been looking for a new puppy recently, and I met a 4 month old pitbull who practically licked my face off. I've never seen a more affectionate, sweet puppy who so obviously wanted attention and love. I didn't get her because there were already several interested parties and I was looking for something smaller, but she definitely demonstrated the good pitbull temperament that people talk about. Nice job all around, but especially on pit bulls. These poor devils almost always get a bad rap because of the rotters who breed them only for the fight ring. If properly bred over generations by reputable breeders, this breed can and usually does make delightful, very loving family companions. And, yes, they're darned cute. I think these pups are adorable, wish I could have one. Nice Hub.